Tasnim – The third stage of military exercises of the Iranian Army started on Monday near the western common borders between the Islamic Republic of Iran and Iraq. The war game code-named “Heidar-e-Karrar” involves various units of the Iranian Army, including the Rapid Reaction Unit, the Artillery Unit, and the Drone Unit. 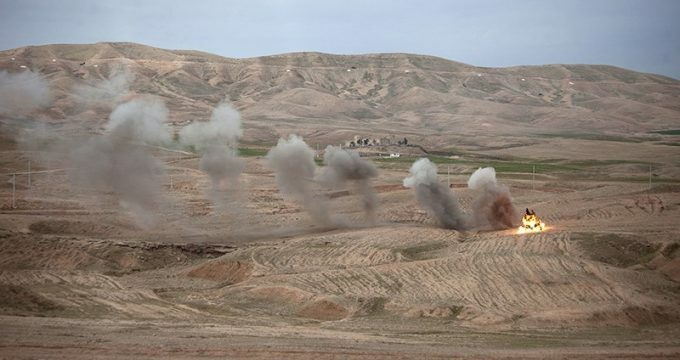 The third stage of the military drills, during which the army plans to showcase its mobility and offensive power, are underway near the Parviz Khan border in western Iran.